Creator of atom yoga, I am certified as a teacher in Kripalu yoga and the Feldenkrais Method. A strong believer in continuing education. 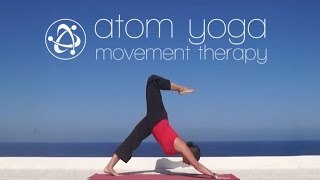 atom yoga is a unique blend of Kripalu yoga, Feldenkrais methodology and meditation techniques, aiming to gradually release the practitioner from the somatic and mental patterns and automatisms that confine him. atom yoga is a secular practice, aiming at the empowerment of the practitioner by providing useful tools for the daily, busy and highly competitive life in modern times.